What’s there to say? Ji Yuanzhi, thought bitterly, suddenly he let out a cold laugh. The hatred in his eyes was clearly seen as he glared at Ji Yunshu. His mouth opened, giving an impression of a piranha’s mouth. He gritted his teeth while bellowing, “Ji Yunshu! Why didn’t you die? Why wasn’t it you who died? WHY? !”“Do you hate me that much?” asked Ji Yunshu.“Yes! I really hate you to the point I want to kill you! If it wasn’t for you, my mother wouldn’t have died!”‘Huh?’ Everyone looked at each other in puzzlement. They didn’t understand what his mother’s death had to do with Ji Yunshu. However, Ji Shuhan understood everything. His stunned face was now replaced by deep grief. He slapped his thigh and madly shouted, “Karma! This is karma!” Tears fell like rain from his eyes.Ji Yunshu’s expression gradually cooled down, but there was a trace of guilt on her face. She spoke, “No one wished for that to happen.”“You’re the reason why she died! If you didn’t fall into the water, my mother wouldn’t have had to jump in to save you. She wouldn’t have caught a cold and passed away from it! You caused her to die!” He lashed out at her. If his hands weren’t restrained by iron shackles, he would have rushed to strangle her to death.Ji Yunshu was only aware of the story behind it. It was something that happened to the original owner of this body. When she was ten years old, she accidentally fell into the water. Zhou Pang, who was Ji Yuanzhi’s mother, was the only one who knew how to swim and happened to be present. Therefore, Zhou Pang jumped into the water to save her. Unfortunately, she caught a cold and the illness claimed her life not long after.Ever since then, Ji Yuanzhi hated Ji Yunshu to the bone! This problem naturally fell on the transmigrated Ji Yunshu’s back. It couldn’t be said that this wasn’t her problem since this body was now hers.Ji Yuanzhi’s eyes were bloodshot from anger. He continued to bellow in rage. “You should die! You should die! Die and accompany my mother in atonement! I can’t stand you. If you didn’t frame Lingzhi for pushing Muqing in the water, I wouldn’t be this heartless and have tried to poison you.”‘What a disgusting appearance!’ Ji Yunshu was truly unaware that this Third Brother of hers had always harbored thoughts of killing her. The corner of her eyes glistened with tears. Her eyes clashed with Ji Yuanzhi’s. How can she not hate him? “Did you know that you have caused the loss of three lives?”“They died because of you. They died in your place, so even if they turned into evil spirits, the one they will haunt would be you!” His words sparked Ji Yunshu’s fury. The cost of “avenging his mother” came with the loss of three lives. It made one wonder what the difference was between that kind of man and a homicidal maniac? Ji Yunshu’s almond eyes returned to a calm state. She asked him, “Let me ask you, when you switched my chopsticks with the poisoned ones, did the slightest reluctance ever cross your mind?”“No way!” He gave a perfunctory reply, then began to laugh. “If you want to kill me, then kill me! Otherwise, I will certainly kill you when given the chance!” He seemed like a mad lion.Seeing that the situation couldn’t go on, Magistrate Liu was about to step in, but Jing Rong was a step earlier. He narrowed his eyes, giving off a deterrent aura that compelled one to obey. He declared, “Murders need to pay with their lives. This is the laws of our Great Lin. Behead him at once with no pardon. Ji Yuanzhi, you’re finished.”“Your Highness…” Ji Shuhan shouted, then rushed to Jing Rong before kneeling on the ground with a bam. His whole body was trembling as he begged. “Your Highness, please spare him! Please spare his life!”景容面不动色，语气更是硬了几分：“饶命？纪元职杀了三个人，就算将他五马分尸都算是便宜了他。”Jing Rong remained expressionless. His tone hardened even more. “Spare him? Ji Yuanzhi killed three people! Even if he was punished to chariot-tearing[1. 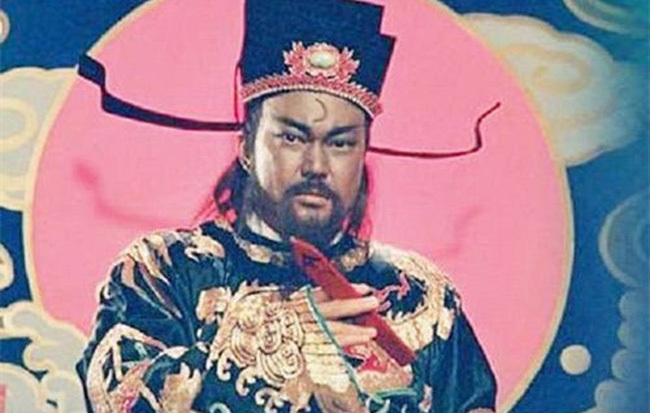 This is one of the topmost gruesome death sentences in ancient China. The convict’s limbs and head are tied to five different horses. The executioner will make the horses run in five different directions… and the convict died like that… You can read the written description of other capital punishment here(no visual, promise): http://raoulschinasaloon.com/index.php?topic=2613.0 ], it would only be too cheap for him.”“I beg your Highness’ mercy! Please, in consideration to the loyalty of the many generations of Ji to the imperial court, spare Ji Yuanzhi’s life!” Ji Shuhan had wilted, the flame of his anger had long vanished. He was groveling on the floor, begging for his son’s life.Jing Rong snorted. He ignored the man and looked at Magistrate Liu instead. Magistrate Liu tacitly understood the glance and nodded. “Runners, lock Ji Yuanzhi in the prison. After the official document of the Ministry of Justice arrives, the date for his execution will be determined.” As he spoke, he pulled out an arrow banner of command [2. Arrow banner of a commander is that red thing in the man’s hand: http://sohanews.sohacdn.com/zoom/650_413/2015/9-1449742686040-7-0-375-500-crop-1449742695185.jpg ] from a wooden cylinder on the table and flung it to the floor.Pac!A crisp sound echoed in the courtroom.This time Ji Shuhan ferociously scowled. His body was completely rigid. In the end, he no longer continued to beg and fainted on the floor. Two of Jing Rong’s subordinates pulled up Ji Shuhan’s body. As for Ji Yuanzhi, he continued to laugh while he was dragged away by the runners. Before he was dragged out, he screamed out, “Yunshu! Damn you! You should DIE!”Jing Rong watched the unconscious Ji Shuhan and waved his hand. “Take him away.”“Yes, your Highness!”The imperial guard received the order and carried Ji Shuhan back to the Ji Mansion.Inside the courtroom, the calm had returned.The case was now closed, but everyone’s heart had yet to regain their composure. Instead, it became heavier as if they were sinking into the abyss, choked by emotions.